Bohol, in Central Visayas, is famous for its beaches, resorts, Chocolate Hills, the Philippine tarsier, and its world-renowned diving locations. But let us put a spotlight on one of the best resorts and spas in the island of Panglao, in Bohol, with its namesake – i.e., Panglao Island. Located at Bingag, Dauis, Panglao Island is a hidden paradise that can be unmasked by anyone or any group of fun-seekers, through a fifteen-minute drive from downtown Tagbilaran; a 20-minute travel time from the airport by car or public transport; a two-hour trip by fast craft from Cebu City or by an hour plane ride from Manila. 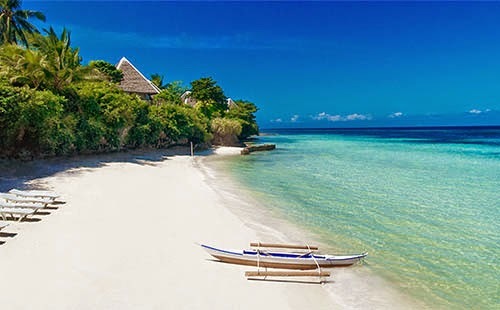 The island has many beautiful beaches, but Alona Beach is the most popular one for tourists, highly noted for its white sand and super clear water. The down part, though, is that it can be crowded during peak season, but it's still worth seeing and it has especially grown popular for divers. The excellent customer service in Panglao Island Nature Resort and Spa will truly impress you as they walk you through the best ways on how to have a perfectly relaxing getaway there. You can enjoy their superb facilities, such as the white sand beach; infinity pool with whirlpool and swim-up pool bar; equipment for kayaking, windsurfing, snorkeling and biking; game area; fitness gym; conference rooms; tennis courts; jogging path; KTV room, etc. Moreover, they provide you with options if you’d like to celebrate with your loved ones for special occasions, through their Garden Square, Dream Islet and Verdant Pavilion venues – which you can choose from, for a party of 100 to 1,000 people.